(<span>Rs.</span> 77,600) has a Buddha head backed by the silhouette of a monk and handcrafted in sterling silver with accents of 24 karat gold. 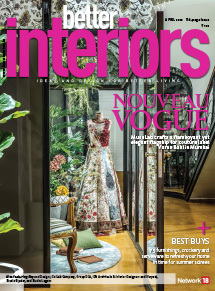 Whereas, a copper shade balances on the beautiful silver embellished red Ganesha that creates the perfect mood lighting in shades of pink. 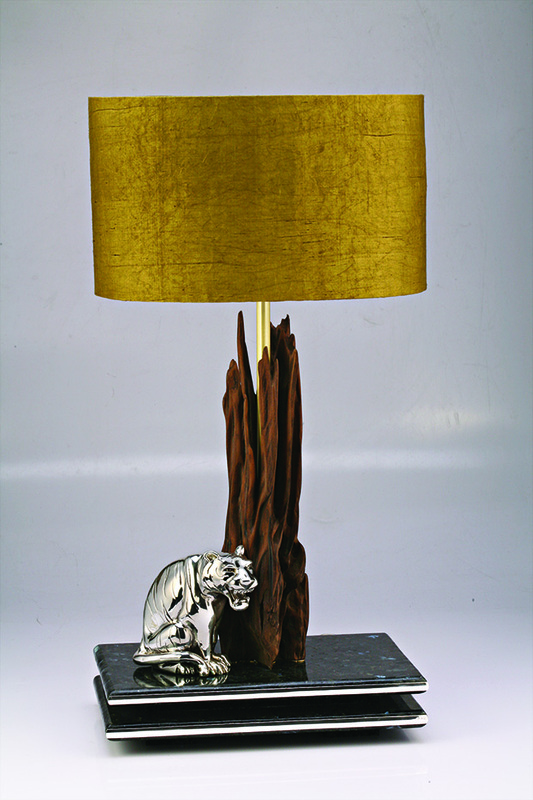 The Crouching Tiger lamp (<span>Rs.</span> 57,200) is a stunner and bears semblance to a tree… where a forest green shade balances on a driftwood stand while the sterling silver tiger crouches on a granite base.